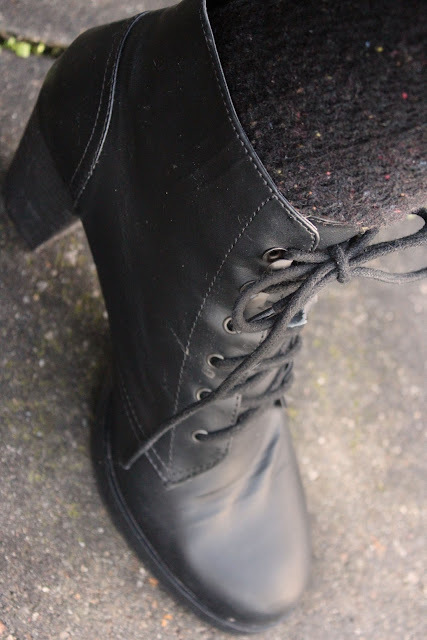 It's the little things: New in; Yeah shoes for cheap! Here I am again, wanted to show you my new shoes. Think you all have seen this pair before at H&M, or on some girl at the station or something. Or maybe you even own these shoes yourself. The black low heels from H&M. They were half-prized, only ten euros! Of course, that's enough to convince me to buy them ;)! Perfect for wild evenings of dancing, because the heel is not very high. If you are interested, they are also still on the website but not in sale! They are only half-prized in stores as far as I know.